With the ever-evolving cycle of technology as ubiquitous as it is today, one must consider its roots as a compare/contrast historical account. A very important aspect of that cycle is the combining of technologies for both professional and novel employments. Take the cell phone. The first camera was put in one in 2000 and now nearly every cell phone built today contains a camera. Man and science have both had a curiosity, primarily voyeuristic in nature, with embedding a camera into other everyday ephemera. 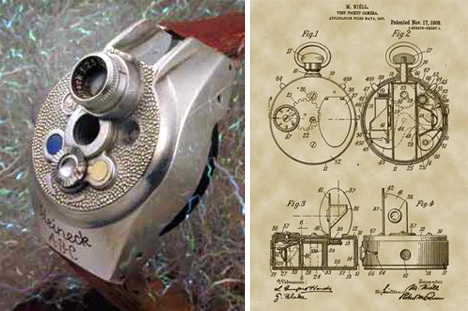 One of the first modern ideas in this realm was to create a watch that could take photographs. Both espionage and entertainment were equal factors in the development. 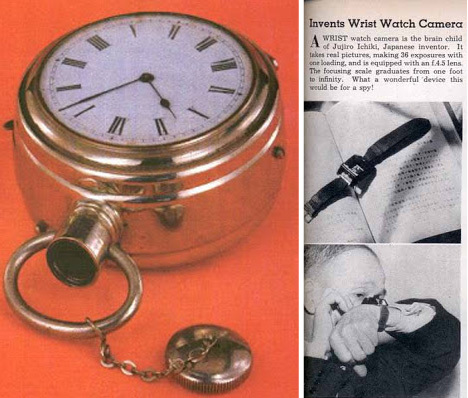 With patents originating in 1907, and later marketed as the “Ticka”, a pocket watch with a concealed camera was the first foray into this phenomenon. This peculiar little Ian Flemming-inducing wonder included a dummy face. Set at seven minutes past ten, it indicated the viewing angle, making it possible to use without the removable viewfinder. 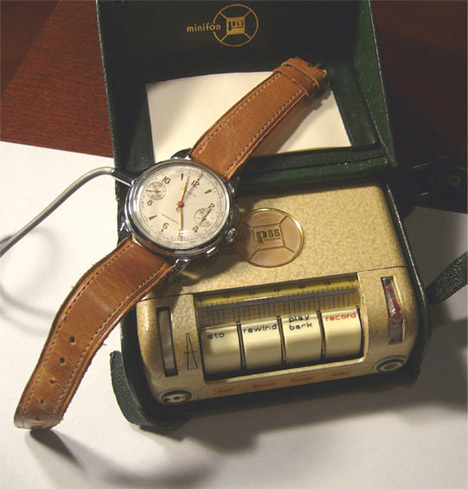 During the Cold War, the Protona Minifon P55 recording chronograph wristwatch was an interesting example of the hidden camera craze. 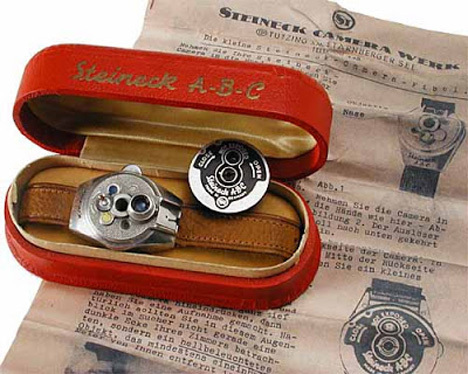 It featured a carrying case used to disguise the recording unit, which was separate from the watch itself. The need to capture that certain moment has become something that is standard in life. The fact that cameras are standard in most cell phones today is proof that early editions like the Ticka or Protona Minifon were more than just a fad.